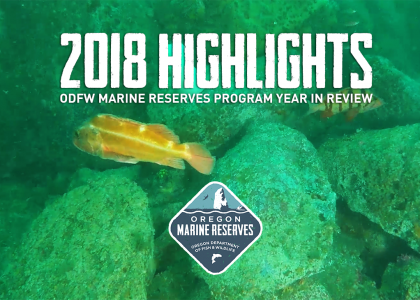 From strange creatures washing up on beaches and hypoxia (low oxygen), to jellyfish blooms, research collaborations with fishermen, and advancements in underwater video research tools – Oregon’s marine reserves were teeming with discoveries this year. 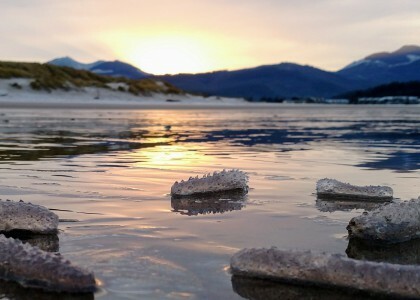 Tide pools provide habitat for many species. 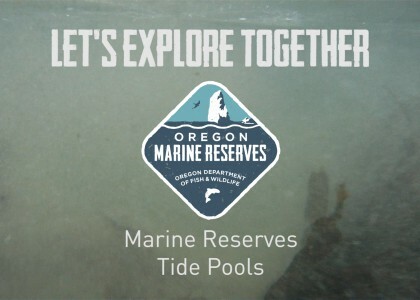 Dive beneath the surface of tide pools at Otter Rock Marine Reserve and Cascade Head Marine Reserve. 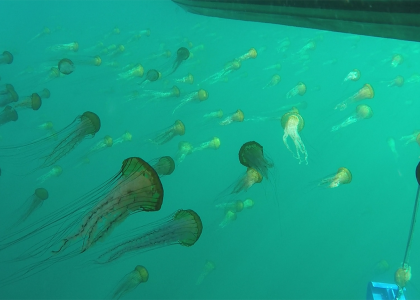 Ever wondered what actually happens to the ocean when upwelling occurs? 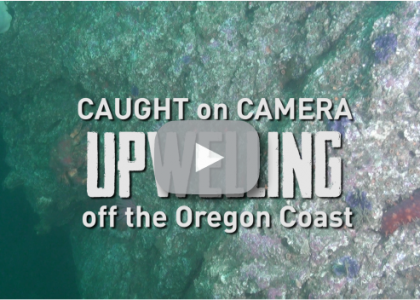 This ODFW research footage caught some of the action and this video explains a bit of the oceanographic processes behind it. 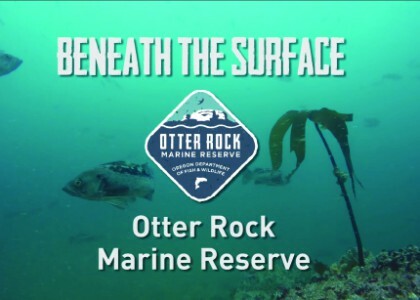 Dive beneath the surface at Otter Rock Marine Reserve and get a glimpse of rockfish, a harbor seal, an octopus and more. 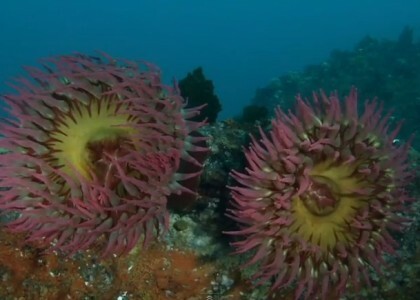 Located off of Oregon’s central coast, Otter Rock Marine Reserve is the smallest of the five reserves. 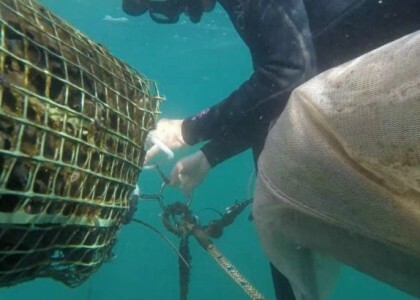 This scientific training ground provides local researchers with the perfect spot to try out new approaches. 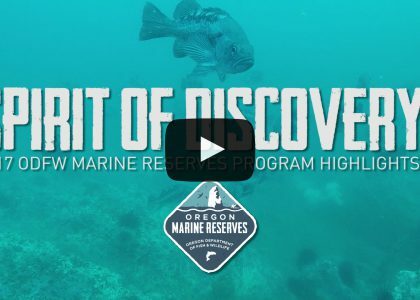 Underwater video of scientists collecting juvenile fish samples in Oregon’s marine reserve sites, to study juvenile fish recruitment. 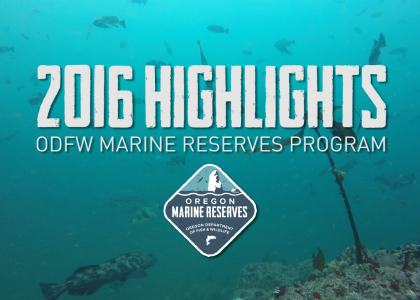 The study is led by scientists from Oregon State University, in collaboration with the ODFW Marine Reserves Program.